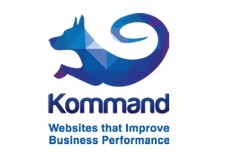 Kommand is a website building platform which was created to empower SME businesses to have an affordable and technologically advanced online presence. To keep up with industry requirements our team continually maintain and improve our service, providing increased user-friendliness and innovative functionality with each Kommand update. What Are The New Features on Kommand? Multi-language contents and interface localisation. Upgrade to latest bootstrap to provide improved responsive websites. Kommand's easy-to-use system means you edit, add or delete content with ease without having to worry about the technical issues of building, managing and running a modern day website. However if you are experiencing difficulties with any of our services, or the above updates, please contact our support who will be happy to help you. We always like to hear your feedback about our updates and find out how you think we could improve our service. To speak to us please contact the Kommand team. Or, if you haven't yet tried a Kommand site yet then you can see our tour here.